Hot Rod Magazine Cover feature car! (71) Photos Printable Brochure Apply For Credit Text Us About This Vehicle! 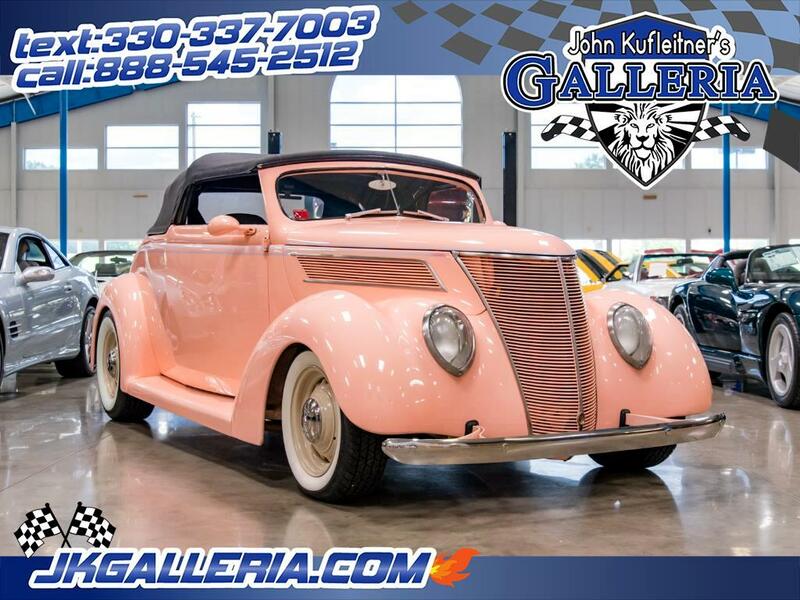 This beautiful 37 Ford Cabriolet has graced the pages and cover of multiple magazines and is an absolute blast to drive. This car was professionally built by the renowned builders at Mitcham's Street Rods. This car was built to showcase the owners talents and to be used as a Satisfying personal driver. This one has a fully boxed '37 frame, Heidt's Mustang II IFS and a TCI four-link rear with Aldan coil overs. Powered by a 351ci V8 with Fuel Injection and C4 Automatic transmission. The car has a Ford 8 1/2 rear with 9-inch axles and 3.50:1 gears. The body is a Gibbon Cabriolet fiberglass body with PPG Deltron two-stage, light tangerine paint. Inside you will see a Carolina Customs Dash with Classic Instruments Gauges, Vintage Air Conditioning controls and Leather seats. Everything on this car is working. Runs Great, Drives straight and stops with ease. Message: Thought you might be interested in this 1937 Ford Roadster.